As many of you will know, we have recently launched a brand new, SEO-optimised version of www.resdiary.com. We have previously lost, or failed to close accounts due to not being visible enough on a B2C platform, leading restaurants who need more business to look elsewhere. These changes to the portal aim to go some way towards fixing this barrier to sale, and bringing incremental reservations to our customers. The first iteration of this portal has now been launched, giving us the capability to optimise pages for Google search. Where is ResDiary.com on Google? Although we have high domain authority and good clicks and engagement for our site before we made the improvements, we did not have keyword optimised pages, and overall, the site was not as SEO friendly as it could have been. 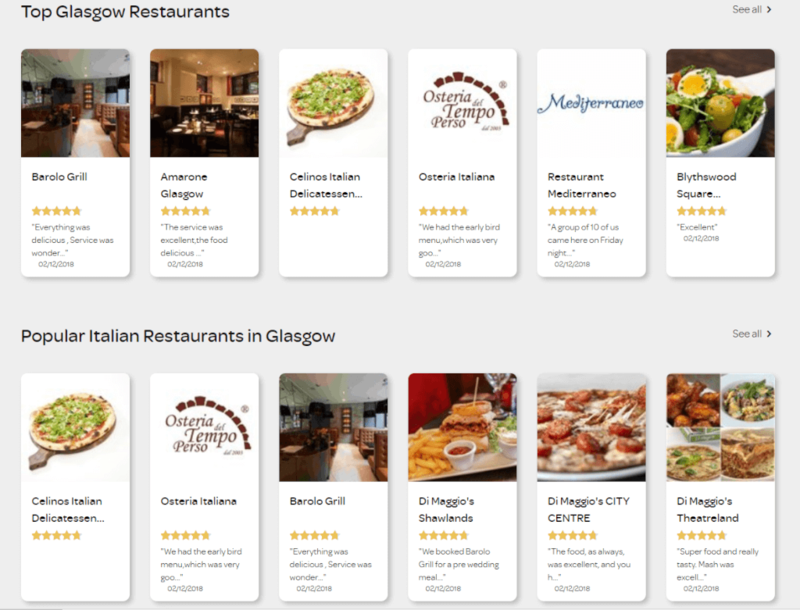 We have created landing pages for key locations, and optimised these for “best restaurants in…..” However, these keywords can be searched by hundreds of thousands of people per month, meaning competition to rank for these keywords is fierce. This stage of the portal is merely the first iteration. In the next couple of months, we are launching an integrated blog (our current blog is hosted on sales.resdiary.com) and cuisine-based landing pages. 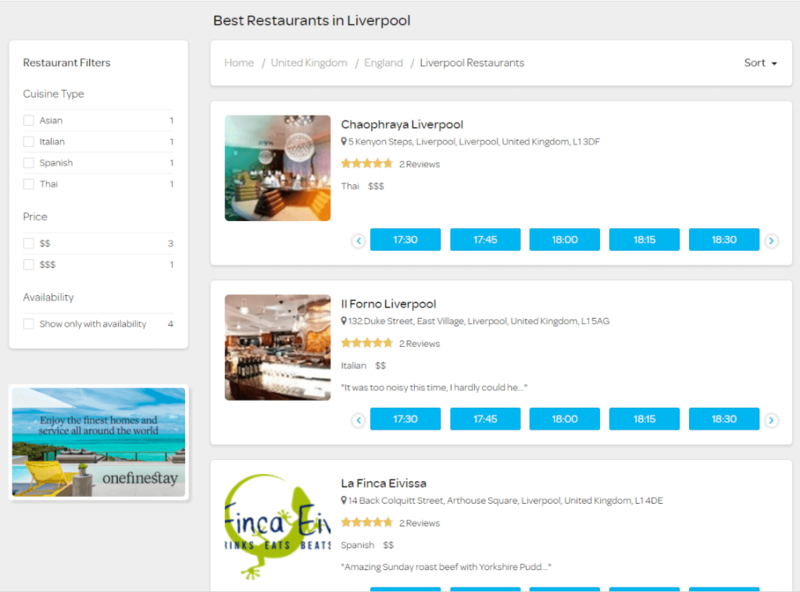 With cuisine-based landing pages, we will be able to optimise for pages like “best Indian restaurants in Manchester”, “best Thai restaurants in London”, etc. As these are longer keywords with less competition from the big companies (but still hundreds/thousands of searches per month), they are more likely to rank on the first pages of Google. This, and the blogs on special events, individual restaurants, and more, will increase www.resdiary.com‘s overall Google rankings, and the click-through rates for location pages like “best restaurants in London”, causing them to move up the rankings. SEO is not an overnight process and is something that we’ll continuous work on to improve over time. These changes have come after consultations and audits by external SEO experts and agencies, who agree that this strategy is the correct one to ensure that we improve www.resdiary.com‘s ranking now, and as SEO evolves in the future.